Halloween is nearly upon us when lots of children will pound the pavements in search of fun and goodies. Not only is Halloween well known for this but it is also a favourite time for vandals and pranksters and can be an ideal opportunity for burglars if you are away from home. It’s easy for a burglar or vandal to spot when people are not at home and with lots of people out and about trick or treating a thief can easily blend in. · Put a simple ‘no trick or treaters’ sign on your front door. · Keep windows and doors locked at all times even when you are in your home. · If you do not want unwanted people knocking on your door don’t answer it. · If you have a garage we suggest you park your vehicle in there so it’s not a target for vandals. · If you have exterior spot lights and motion sensors ensure they are working as this can deter pranksters and burglars from choosing your home. · Legitimate trick or treaters should be off the streets by about 9pm, any later than this then don’t answer the door unless you know who it is. · Remind them not to enter strange houses or cars. · Remind them to stay with a friend at all times. · Review their route for trick or treating beforehand and set a time when they should be home. 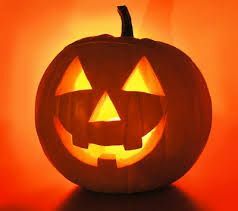 · Tell your children not to take shortcuts through alleyways or parks at night and only trick or treat in well-lit areas. · Wherever possible ensure an adult goes out with the children. · When they get home check their treats to ensure they are safe, our advice is that only factory wrapped treats can be considered safe to eat. While we want children to have fun trick or treating make them aware that some people don’t like it, may get scared when they knock on the door and that some tricks can scare and hurt people and can vandalise property. Most of all have fun, stay safe and respect others.